If you go to any public place and just look around, you’ll see that most people are looking down at their smartphones. Therefore, it’s no shock that 95% of Americans have a cellphone of some kind; which is 77% up from the 35% reported smartphone owners in 2011. With so many Americans using cellphones, at this point it is mandatory for your company to optimize your online insurance platforms for mobile. From your website, to your ads, to your social media, and your emails, your consumers are able to experience all of your online marketing through their smartphone. This means that you have to optimize your company’s website, along with all your social media and email campaigns that go out to your prospective clients. Emails that display incorrectly on mobile may be deleted within three seconds, and as many as 15% of users will even unsubscribe. Considering your competitors are also optimizing for mobile, this very well could be a quick win for them if your system fails. Shopping online is the new normal. Not only are consumers shopping for clothes and groceries with their smartphones, but they’re also purchasing all different types of insurance through their phones as well. Actually, 25% of insurance shoppers use only their smartphones, which means they’re not just researching insurance options on mobile, but also making their purchases as well. With over 50 percent of searches for insurance happening from a mobile device, it is safe to say much of the compare-and-contrasting and shopping around online is happening on mobile. This means more than ever, your insurance company needs to put its best foot forward when it comes to mobile. Not only are consumers comparing insurance rates, but they’ll be judging your company by the usability of your website and app from their phones. Many insurers and agencies are offering more self-serve activities, especially on mobile. Roughly 78% of companies now offer consumers the ability to report claims online, and 79% offer that capability via a mobile device. As of June 2017, 180 billion apps had been downloaded from Apple App Store. And as of Q1 2018, Android users were able to choose from 3.8 million apps and Apple users were able to choose from 2 millions apps. The amount of apps being created by companies and used by consumers, is at an all time high, so if your competitors don’t already have an app, they surely will be creating one soon. 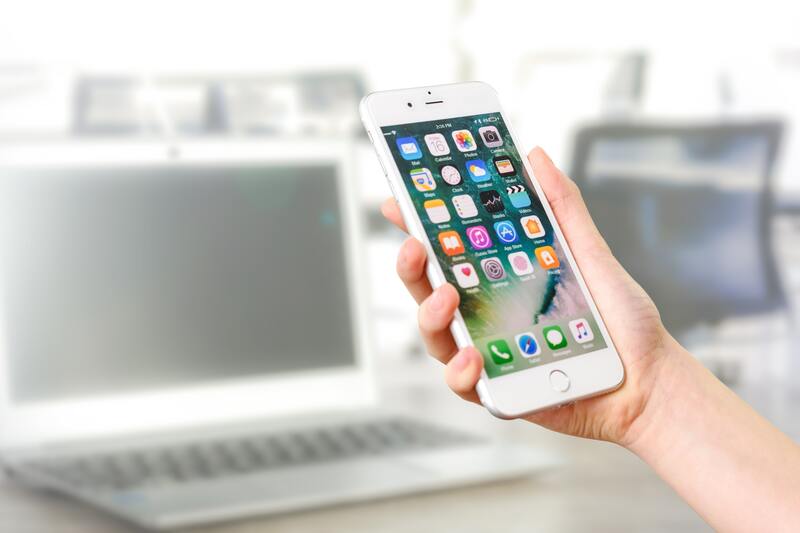 Due to the high volume of smartphone users in the world, it is more important than ever that your insurance business starts adapting your marketing efforts to keep up with the advances in technology.